Police in Richmond are trying to generate more information about a 2014 unsolved murder. On June 27, 2014, Horace Evans made a gruesome discovery inside of a home not far from Main Street. The door had been knocked in. Inside the home were the bodies of his brother, Avery Evans, and Karen Simpson. They had been murdered. Neighbor Leonard Harrison has lived on that street for 45 years. He remembers that day, but he told LEX 18 he tries hard to forget it. “I kind of try to put it out of my mind,” he said. 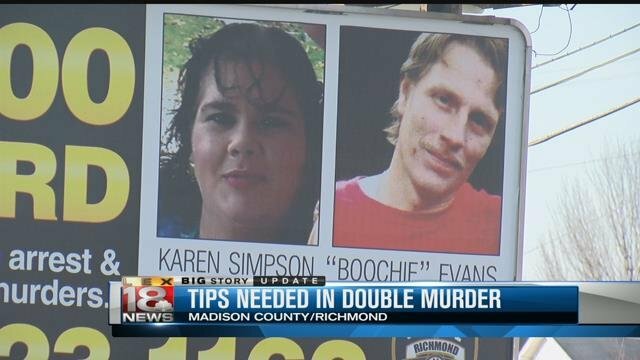 Police unveiled a billboard last year with the victims’ pictures, offering a $10,000 reward for information on the murders. No strong tips ever came in. Officers told LEX 18 that they plan on putting up a new billboard in the near future. At this point, they can’t say if the murders were random or targeted killings. “We don’t know that’s what we need to find out. There are things people might know, we have to have information but we haven’t gotten a whole lot,” said Major Steve Gregg.